Bengaluru is the first city in India to drink treated water. Bangalore has the highest density of borewells. It is home to 4 lakh borewells; India has about 30 million across the country. 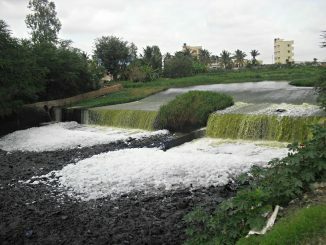 Bangalore has the largest number of Sewage Treatment Plants; this includes those that are functional and nonfunctional. Bangalore was once home to over 900 lakes and tanks. Today the number stands at a meagre 200. Bangalore is likely to be the first city in India that will hit critical ceilings on water availability. There is a possibility that Bangalore will have to be evacuated by 2023, less than a decade away, all thanks to the lack of potable water. Bengaluru, circa 2023. A borewell digs over 1000 feet into the ground for water. The result? Nothing. Maybe not everywhere. Even in those places where there water is found, it is highly contaminated and not potable. If this is what could happen to Bangalore in less than a decade, what would you do? Move to another city till it runs out of water as well? Or leave the country altogether? Well, the picture is not really that bleak, and the Water Workshop for Apartment Complexes held on June 21st 2014 proved just that. 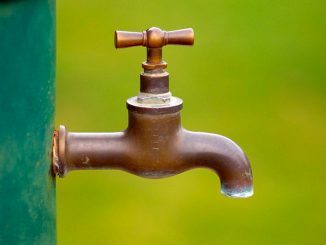 In an effort to banish water insecurity, ApartmentADDA, an organisation that hosts private, secure online portals for apartment complexes, brought together water experts and representatives from apartment management committees and builders associations, at a day-long workshop, to exchange ideas on how water and waste water can be managed in a sustainable and efficient manner. The Water Workshop was inaugurated by Ramalinga Reddy, District In-charge Minister for Bangalore and Minister for Transport, Government of Karnataka. The day’s session began with an introduction to the status of the city’s water supply by T Venkataraju, Engineer-in-Chief, BWSSB. As he addressed the 70 RWA members gathered there, he emphasised on the need for apartments to make their own arrangements for water and waste water disposal. He also mentioned that BWSSB had submitted a Rs 4500 crore proposal to the Central Government, to provide water supply infrastructure to the new areas belonging to 110 villages and that the possible date for project completion was 2022. S Srinivasan, from Springfield Apartment in Whitefield, spoke about the challenges that apartment associations face while dealing with water tankers, in terms of pricing, water quality, service etc. Members of the audience to shared their experiences. Many members shared how installing water meters at the supply point helped check the quantity supplied. However one resident faced resistance from the vendors, who threatened to stop supply if they were to measure the supply using meters! Often there is a chasm between what builders promise and what residents get. More often than not, it is apartment associations who need to cope with the challenges of the maintaining the property once the builder exits. Meera K, co-founder, Citizen Matters who anchored the workshop, set the tone of the session, sharing a few points on how builders’ design decision affects what apartment associations find a challenge from a maintenance perspective. Arathi Manay Yajaman, a former MC member, had earlier documented what builders could do at the time of design in her article, Reducing water problems: How builders can get it right. Sometimes just doing away with the bells and whistles can go a long way in conserving water, and reducing the burden on apartment associations. Some examples of this are not installing aesthetically pleasing fountains and water-bodies, creating green spaces with natural cover, rather than lawns, even installing water-efficient sanitary ware to reduce water usage. 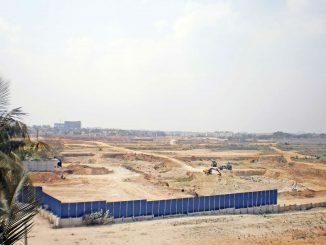 Harikrishna, a builder representative from BCIL Ltd, pointed out that customers rarely asked for details on the number of apartments being built, or how and where water would come from; most folks were satisfied so long as the apartment complex came with amenities such as a swimming pool or gym. For inspiration, one doesn’t need to look further than T-Zed Homes in Whitefield. This community of 96 homes has proved to be completely self-sufficient with respect to water. It completely treats its sewage water and uses it once again, straight from the kitchen tap, following the principle of ‘Reduce, Replenish, Reuse, Recycle’. T-Zed Homes was also the recipient of the first-ever Rise High award, instituted by ApartmentADDA, to recognise excellence on the part of Apartment Owners Associations for the community. TZed Homes – India’s First Water Neutral Apartment Campus! Several apartment associations who had already implemented water management systems presented the advantages of doing so. Samhita Square, a 95-apartment complex in Basavanagar, which has implemented rainwater harvesting and water metering, has seen a 50% reduction in water consumption and a significant reduction in electricity costs too. SLS Splendor in Devarabeesanahalli, spent about Rs 3.3 lakh to put into effect a rainwater harvesting system for their 220-apartment complex; they believe this cost will be recovered in a matter of three to four years. Several eminent water experts addressed the gathering on matters ranging from the current ground-water situation to Bangalore’s dependency on tankers, from sewage treatment plants to new technologies in water management. Dr Ananth Kodavasal, author of the book, STP Guide and head of Ecotech Engineering Consultancy, spoke about the various types of STPs that could be implemented and the Reverse Osmosis process to use STP water. S.Vishwanath, more commonly known as Zenrainman, and founder of Rainwater Club, highlighted the optimum use of recharge wells and rejuvenation of lakes. He stated that it was essential that they city became more water sensitive and looked beyond the regular sources of water – borewells, tankers and rain – for solutions. Sangeeta Banerjee, co-founder of ApartmentADDA also shared how the portal provides an integrated solution for water metering, billing and collection. For a city that does not have a river running through it, Bangalore has managed to sustain herself and her people for a long time now. It is time, however, that her people take up more responsibility to ensure she does not wither away. And apartment complexes stepping up to implement sustainable, efficient water management solutions, will certainly contribute to the effort. ApartmentADDA is India’s leading online ERP for managing apartment complexes. Apartments who sign up with ApartmentADDA are assigned a private and secure portal for apartment complexes, on which tools for communication, facility management and accounting with payment gateway are available. Planning to apply for water connection under the new Cauvery Stage IV Phase II? Which documents do you need and how much does it cost?